Barbara Olivi, founder and chairwoman of the non-profit organization “Il Sorriso dei miei Bimbi Onlus”, has been living in Rocinha, Rio de Janeiro, since 2002. “The most beautiful years in my life” she usually says, especially reffered the Youth Education programmes that the organization has been developing for over 12 years in the heart of the favela. Barbara began her Brazilian adventure in 1998 when she decided to become tourist guide. Thanks to her new job she got to know and love the “Cidade Maravilhosa” and she was given the opportunity of introducing tourists to all the non-profit activities carried on in Rocinha. Over the course of time, in fact, tourism reveals to be an efficient way to stir people’s interest in the activities of the non-profit organization and it also provides great visibility to the organization itself: many stories of friendship, cooperation and special meetings have come true thanks to the wonderful tours on the favela in which Barbara and Julio (both tourist guides with regular permission according to Brazilian law) have the leading role. Rocinha is pulsing with life, a stream of energy that the tour tries to reveal by showing scenes of this extraordinary everyday life. At the same time, the non-profit organization wants to spread information about the favela and the social projects being developed inside it to let tourists better understand this reality, its inhabitants’ dignity and happiness. Thus, the trip becomes an unforgettable experience, always taking into account respect for the Community made of people in need, but still showing pride and dignity. We remind you that Rocinha is populated by honest and respectable people living in humble conditions. So the tour becomes a very special intimate meeting: waiters, concierges, housewives, bricklayers, artisans, cooks, students, artists, actors, young entrepreneurs: the favela is a melting pot of arts and crafts. You meet there people looking tired, but still eager for life and full of creativity. In compliance with tourists’ wishes the tour begins with transfer from the hotel to the favela either using public or private means of transport. Tourists visit Rocinha on foot, therefore comfortable shoes are recommended. We invite visitors to take cameras and video cameras with them, but to use them with discretion and respect. 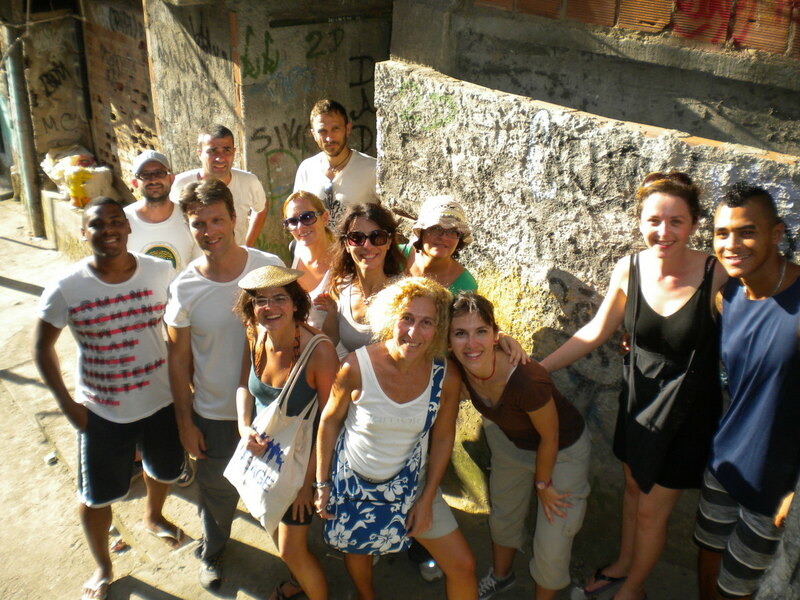 The tour lasts 45 minutes but there is no time limit and you can experience the favela life longer, for example by eating in one of the local, family run small restaurants. This would give you the opportunity of talking to residents and observing the hectic life around them. 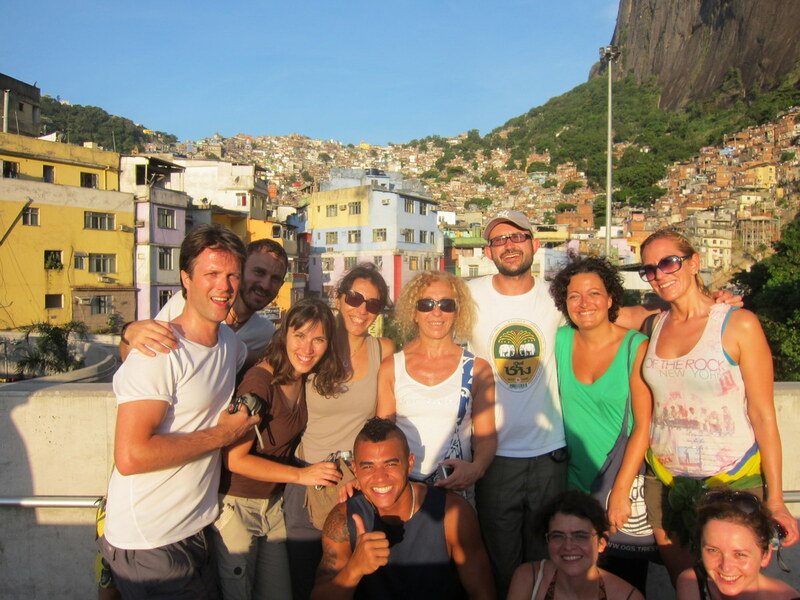 In compliance with our organisation policy the favela tour is designed on the tourist’s profile and most of the time it involves youth of the “Rocinha Youth Project”, creating a “cultural bridge” representing both a work experience and also the opportunity of getting in touch with other people coming from different geographical areas and social classes. Our adolescents are looking forward to meeting tourists who represent for them part of their training programme but, above all, a chance for cultural exchange. Thanks to this experience our adolescents have the opportunity of testing the importance of getting to know another culture, using the foreign languages studied (Italian and English), playing a role in the Community thanks to their communication skills, kindness and extraordinary descriptive skills. From this point of view, the tour becomes a “project inside the project”, seen as an opportunity for the adolescents of “Casa Jovem” of entering the work environment. Rocinha is waiting for you!